Things might be quickly falling apart for Bill Shorten, as one gaffe this week has promoted an internal question to be asked: Should we kill Bill? One can only imagine the extreme tension gripping Bill Shorten, as the byelections in Longman and Braddon loom as “the only polls that count” for him in the immediate future. For the first time in his leadership, the possibility of a serious threat to his position is there, resting in the hands of these voters in two marginal ALP seats in the south and north of the country. Anthony Albanese has flaunted his availability, in the event of a Labor electoral disaster on July 28, with his speech last Friday which could have been titled “I’m not Bill”. On the other side Malcolm Turnbull and his crew, despite the polls and regardless of another failure this week to muster Senate votes for the tax cuts for big business, are looking more competitive. 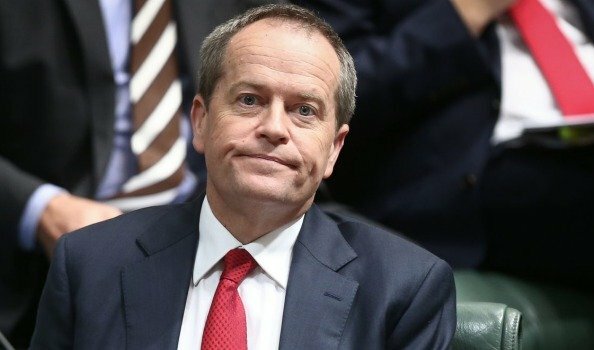 Perhaps then it’s not so surprising that Shorten made a costly error when he responded to questions about Labor’s company tax policy, “announcing” (as we in the media put it) that an ALP government would repeal the legislated cut for firms with turnovers between $10 million and $50 million. It’s been labelled a “captain’s call”, and angered colleagues. It was probably more likely a “captain’s fall” – Shorten answering reflexively, without thinking, believing that was where the policy was up to, or where it would be. His office and colleagues at first tried convoluted rationalisations but they didn’t convince. Shorten might have done better to have said, “I stuffed up – that’s my recommendation, it’s not yet our decision”, and summoned a shadow cabinet meeting immediately to fix the matter. But only a few politicians are willing or able to use the mea culpa as a management tool when things go badly. Such an “announcement” required the right framing. It also – most importantly – needed to include Labor’s stand on whether it would keep or repeal the cuts for businesses between $2 million and $10 million turnover. Labor on Thursday was scrambling to reach its position for this band. Shadow cabinet will discuss it at a Sydney meeting scheduled for late morning Friday. In the political circumstances, it would be rash not to adopt the $10 million threshold. Some in shadow cabinet actually want Shorten’s position revisited and a $50 million threshold accepted. Apart from framing, there was the question of timing. Would any leader thinking clearly create a situation where his opponents and the media were incentivised to trawl Longman and Braddon for businesses that would be hit by Labor’s policy? The ALP had refused to state its position since the legislation was passed last year – it could have waited a few more weeks. Shorten’s mistake was inevitably magnified by the combination of the byelection context and the fact that Albanese, as part of strutting his leadership claims, had made a big point of urging better relations with business. Those relations have now plummeted. Business groups, currently frustrated with both sides of politics, didn’t hold back with their criticism. Albanese’s play is notable, not least because while his wording in that speech and elsewhere is careful, to give deniability, his intention is so overt. Here is a man obviously aware he’s running out of time. If Shorten wins the election, Albanese, 55, will be a senior minister, but not even deputy prime minister as he was, very briefly, in 2013. If Labor loses, the party will likely move on to someone else. Some who flirt with the idea of a change believe Labor is on the cusp of regaining office but fear Shorten mightn’t get over the final hurdle. Super Saturday, including four Labor-held seats and two key ones, has given Albanese an unexpected if long-shot chance at the job he covets. He’s not stabbing Shorten in the back; he is standing out there publicly displaying his ambition. Shorten told caucus on Tuesday that Longman was “very close” and Braddon – where the Liberals did so well at this year’s state election – was “very difficult”. A Courier Mail-ReachTEL poll published on Thursday of 814 Longman voters, taken on Tuesday, had the government with a 51-49% two-party lead. Labor’s Susan Lamb was on a 39% primary vote; the Liberal National Party’s Trevor Ruthenberg was polling 35.5%. Despite Hanson’s gyrations on tax, One Nation was on 14.7%. The Courier Mail reported that the preferences from the 21.3% minor party/independent vote were splitting 70% the LNP way. There is no doubt Labor is, at this point, in a lot of trouble in these two contests. On the other hand, there is a month to go and it is always a risk, in making political judgements, of getting ahead of ourselves. The campaigning by both sides will intensify. Some Labor sources predict the ALP will claw back in both seats, saying the Longman LNP candidate, a former state MP, is vulnerable, and a campaign on “government cuts” will be potent in Braddon. If Shorten lost both seats things would be very grim for him. A mixed result – win one, lose one – would throw Labor into a good deal of turmoil, with Shorten wounded but probably not mortally, although what happened in Newspoll would be carefully watched. Albanese would be faced with an invidious choice: whether to help re-strengthen his weakened leader or try to bring him down. Any move to replace Shorten is made more difficult by party rules, byzantine factional splits, and the role of outside players such as the powerful CFMMEU, which is close to Shorten and would be disadvantaged if Albanese replaced him. The stance of Labor’s NSW right would be critical – Albanese would need some support from there. In a change, shadow treasurer Chris Bowen, from that faction, would be safe in his position. But Labor’s deputy leader Tanya Plibersek would be an almost inevitable casualty if Albanese became leader. Plibersek is popular with the ALP rank and file and with the public. In a May Newspoll on preferred Labor leader, Albanese was on 26%, followed by Shorten and Plibersek on 23% each. But Albanese and Plibersek are both from the left, and from NSW. Albanese would need a different deputy – a woman, but from the right and from another state, and with enough experience for the job. Affirmative action not withstanding, such a suitable woman would be hard to find. The sum total of this is to say that any “Kill Bill” enterprise would be highly fraught for Labor. Morrison’s poll bounce: The numbers don’t lie…or do they?